Please fill in the short form below with your question, either about the Simrad HH36 Handheld VHF, or for some technical advice. Please include details of your vessel if you feel they will help us answer your query. 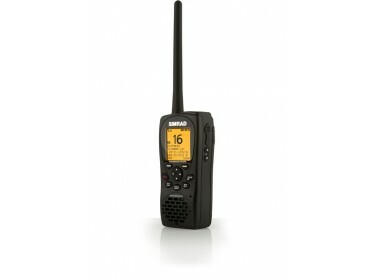 A feature-packed handheld, Class D, DSC marine VHF radio loaded with the latest technology, integrated GPS, loud and clear audio and navigational features that leave other handheld VHF radios in the shade. Great for use on any sized boat, for professional or leisure use. 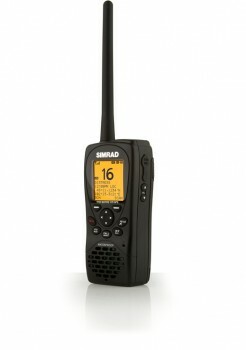 The backlit LCD screen is the largest currently available on any handheld VHF and allows for crystal clear viewing. Up to 11 hours battery life when used with 1W transmit power (GPS Off), up to 8 hours when used with 5W (GPS Off). See navigational information such as distance to waypoint, bearing etc.